Gray, I hope at your next home, the people never even consider going somewhere that does not allow kitties. Hi Gray! You and our Pungy could be twins. We sure hope you get your happy forever home soon. We can't imagine moving someplace that wouldn't let our kitties live there too. Hugs, sweetheart. Hoping you find your purfect home very soon! XOXOX! Gray, you are very handsome. Purring hard for your forever home. Gray you are a gorgeous mancat! Hope someone sees how wonderful you are soon! Oh yep, very handsome indeed! 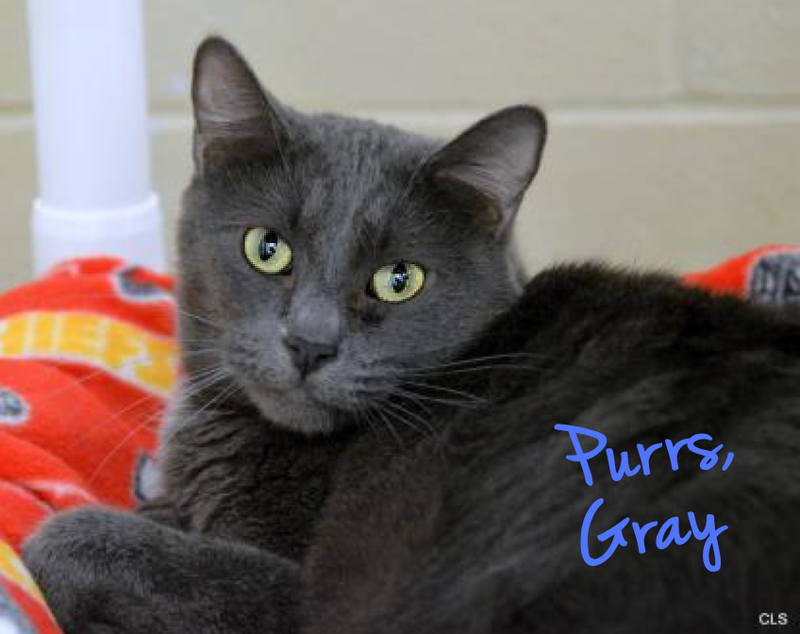 Purrs for Gray to get a wonderful, loving forever home very soon!